Situated in the district of Sindhudurg of Maharashtra, in the northern part of Goa- the pastoral beach of Vengurla is enshrouded with a green umbrage mostly of coconut, berry trees, cashew and mango. Bestowed with a rich ennobling culture, Vengurla boasts of all the magnificent temples that helps in beautifying the place including Aaravali’s Shri Vetoba, Kanyale Redi’s Shri Navadurga, Shri Sateri, Redi and Shiroda’s Shri Mauli and sundry. Vengurla is highly decked with the imposing hills of Tulas, Mochemad and Dabholi coupled with the courtly Arabian Sea in the western part. Formerly, built up by the traders of Dutch and later on by the rulers of Britain in the year of 1665, Vengurla is also coined as Vingoria and lived up to become one of the popular beaches in the state of Maharshtra. The quaint village of Asoli in Vengurla rests with sheer liveliness, enveloped with milky waterfalls, historical forts, ancient temples and placid beaches and is unequivocally one of the many sought after attractions. Sharing close proximity with the alluring Arabian Sea, the perky coastal village of Redu is dappled with innumerable coconut and cashew trees besides being topping the list of must-see-places for the unfathomable serene beach it is endowed with. Khavane beach with its unexplored beauty stands out for being one of the most idyllic places enhanced by the swaying coconut trees and sublime sunsets besides being one of the many tourist places. The solitude of the Vayangani beach add to its uniqueness, besides the tiny huts belonging to the fishermen and the raging waves. The port of Vengurla is one of the most talked about for the calmness that prevails here besides the strikingly beautiful landscape that one gets to witness on climbing the lighthouse. The prevalence of piousness and composure inside the ancient temple of Sargeshwar Shiva draws a large number of pilgrims from all across. 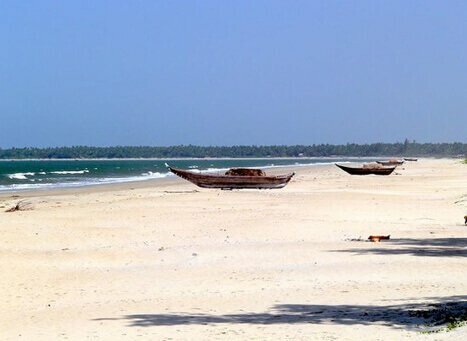 Reclining back on the pristine beach of Mochemad in Vengurla is one amongst the things to do besides visiting the Fruits Research Center to taste the variety of Mangoes, Chickoo and Coconuts and a short trip to the market of Shiroda. Unlike any other beaches in Maharashtra, this too holds out a number of beach resorts that awaits your visit upon which they bestow you with their venturesome activities including Cycling, Fishing, Beach camping, Kayaking and swimming, besides the commanding view of the seafront coupled with authentic gourmet delicacies comprising of sea food and Malvani food rich in sumptuousness, thus transposing your holidays into something ecstatic.